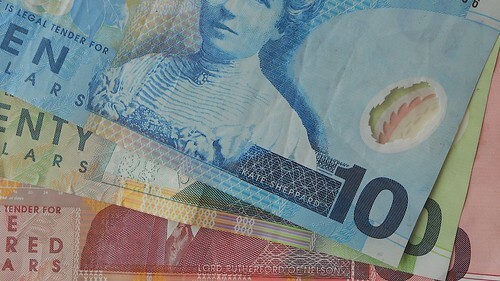 The bank notes of New Zealand have a transparent part which can be used as a see-through window. First it looked like a hole to me, but there is also information in the plastic there. I have yet to see the coins, but will get acquainted with them soon and not use Euros anymore.